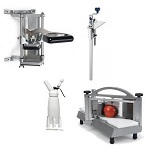 Owning and operating a pizza parlor is a lot of work, but with the right pizzeria equipment and supplies from Restaurant Equipment Solutions, it doesn't have to be. 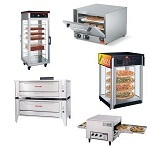 We have an extensive selection of equipment and supplies for your pizza restaurant including pizza ovens, pizza tools and utensils, pizza prep tables, and pizza pans and screens that will help bake the perfect crust. 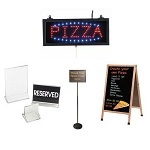 Have a take out or delivery pizzeria? 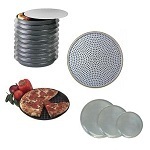 We've got you covered too, with our pizza boxes and storage, pizza display cabinets and pizza delivery supplies that will keep the pie warm until it arrives at its destination. 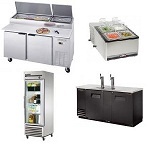 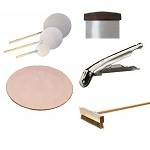 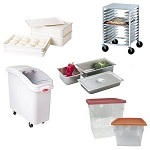 Restaurant Equipment Solutions carries the top brands in pizza equipment and supplies for your successful pizzeria. 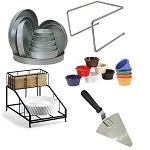 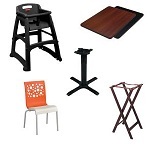 Find everything you need for your pizza restaurant right here.